Labtec provides complete solution for your laboratory furniture requirement. These include Underbench cabinets, Tall cupboards, Wall cabinets, Balancing tables, Titration tables, Pharmacy cabinets etc. Our Fume Cupboards are extremely reliable, fire resistant, solid installations with very low vibration & noise levels and assures the highest level of safety. You would be curious how your lab will be appealing once it is complete. Labtec simulation services give you the right solution by providing a 3D simulation prior to manufacturing. With more than 30 years of experience, Labtec stands as the oldest & most reputed organization in the middle east supplying Laboratory furniture, fume cupboards, Laminar Air Flow, Balancing tables, Pharmacy cabinets etc. With manpower of more than 300 employees, Labtec is the biggest organization in Middle East in its Domain. Labtec is the part of Masharie which belongs to the prestigious Dubai Investments PJSC. Labtec also manufactures Fire rated & non fire rated doors. Labtec fire rated doors are approved by International & Local authorities. Being an ISO 9001:2008 certified organization Labtec deliver maximum customer satisfaction & most of our clients are associated with us from many years. The key strength of our organization is the quality & durability of the products manufactured within our state of the art manufacturing facility located at Sharjah. The diversity of our products, services & fulfillment of the commitments keeps us at par with the expectations from Clients. We monitor our projects on day to day basis & make a good use of our customer feedbacks to improve ourselves. Our customers are Research Centres, Pharmaceutical Industries, Petrochemical Industries, Chemical Industries, Educational Institutions, Hospitals & Other Industrial segments requiring our products. 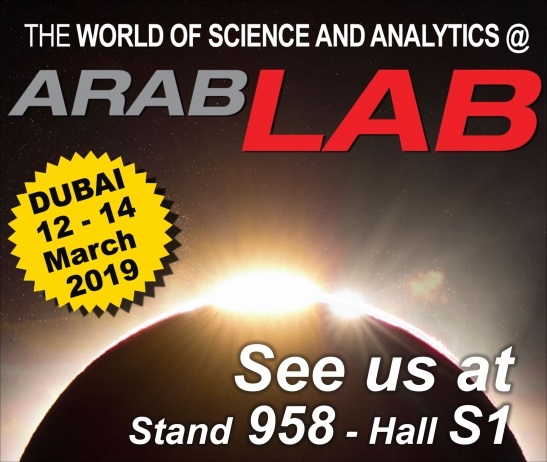 LABTEC is participating in region's biggest laboratory and instrumentation exhibition ARAB LAB 2019. Kindly visit our stand# 958 Hall S1 in World Trade Centre, Dubai from 12-14 March 2019.